Experience the ultimate 'Godfather' film-buff's dream come true with a private 'Godfather' movie tour from Messina. 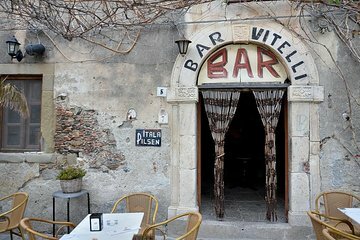 Visit the town of Savoca to see the 1971 filming location for the wedding, as well as the bar where Michael Corleone asked for Apollonia's hand. Continue to Forza d'Agrò to see the square that served as the main square of Corleone during the Francis Ford Coppola movie. Head for Taormina to enjoy some sightseeing and shopping before returning to Messina. Our guide and driver met us on the port and we had a truly lovely day. Nothing was too much trouble a truly special day and one which anyone would enjoy.